Dave Hare is currently a part-time lecturer at City University of Hong Kong. His research work concerns film studies, specifically contemporary cinema stereoscopy. This is the fourth and final week of AcWriMo 2016. Words have been written, edited, and proofread; ideas have been noted down; and work has been tallied (by The PhDometer 3.0 app!). The leaderboard shows an impressive amount of effort. 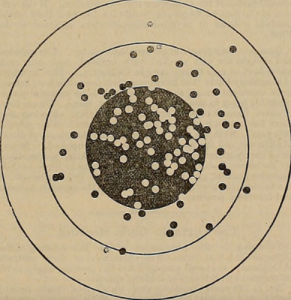 This work should act as motivation to reach your personal AcWriMo targets. It prompts a sustained effort. Alternatively, finish the month by thinking about the ways that this effort can be efficiently transformed into tangible rewards (publishing or submitting). Establishing a good, productive writing habit is one of the main benefits of participating in AcWriMo. Paul Silvia, who writes more broadly on the subject of productivity in How to Write a Lot: A Practical Guide to Productive Academic Writing, makes the simple point that ‘productive writers don’t have special gifts or special traits – they just spend more time writing and use this time more efficiently’ (funnily enough, this idea also reflects Jerry Seinfeld’s ‘don’t break the chain’ advice to young comedians, which you can find here and here). 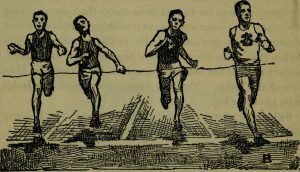 AcWriMo essentially helps participants do exactly that: its finite time span encourages a form of intense focus, and its social media presence, PhDometer app, and leaderboard provide positive feedback to reinforce good, productive behaviour. It provides a short cut to more productive drafting, editing, proofreading and note taking processes. This short cut leads to more publications. So, while AcWriMo mainly focuses on writing, publishing is one of the main goals of participation (that is, getting recognition for all that AcWriMo effort!). Achieving this result involves understanding and making use of a variety of services and tools for sharing and tracking research output. These services and tools are what Geoffrey Bilder, Jennifer Lin and Cameron Neylon call ‘infrastructure’: identification, storage, metadata and relationships. They enable the smooth production, distribution and publication of scholarship. Put a different way, establishing the right writing, researching and publishing infrastructure is another form of shortcut that will help you become more productive. One important piece of infrastructure that Bilder, Lin and Neylon cite as an example is ORCID (or Open Researcher & Contributor ID). ORCID is a non-profit, online registry. It identifies researchers and connects them to all of their work and ‘affiliations, across disciplines, borders and time’. It is a unique number allocated to individual researchers, which, when used actively, removes problems associated with name ambiguity. What is significant about ORCID is that it can be integrated with Scopus, ResearcherID, LinkedIn and other academic profiles, which means it removes the need to update multiple profiles each time you are successful in being published. It will save you time (when, for example, you finally publish all of that AcWriMo work). ORCID is free to register, and is increasingly being used by universities as a way to streamline internal research reporting (which means you might eventually be asked to register an ORCID by your institution anyway). Combining a focus on writing with the right infrastructure will help you develop a more productive (writing and publishing) habit. This habit is exactly what AcWriMo and PhD2Published are about. 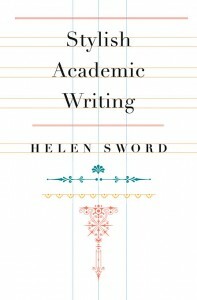 It will serve you until next academic writing month, when it will be bigger, better and even more useful! Astrid Bracke writes on twenty-first-century British fiction and nonfiction, ecocriticism, narratology, climate crisis and flood narratives. Her monograph, Climate Crisis and the Twenty-First-Century British Novel, is under contract with Bloomsbury Academic. This is the second of four blog posts she will write for AcWriMo 2016. 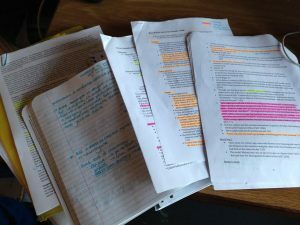 In the previous post I explored the differences between writing a dissertation and writing a book. In this post and the next I’ll write about the process of writing the book, both in terms of practical matters and in terms of deciding on the kind of book you’ll write. There are two ways of going about writing a book: either you write a book proposal first, submit that to a publisher and wait for them to accept it (fingers crossed! ), or you write the entire book first, and then submit that to the publisher. While some people go for the second option, most academic publishers don’t want you to send them an entire book immediately. If you do want to write the book first, or you want to publish your dissertation, you could write a proposal based on the finished manuscript and submit that. All academic publishers have a section on their website with details, so make sure to check that out first. There’s a few risks involved with writing a book without having secured a contract from a publisher. The publisher might not accept it, or will require changes to be made to fit the book in with a series. Most importantly, though, having a contract in hand can be stimulating: having a deadline adds a sense of accountability to a project that can be quite lonely at times. Also, even though you haven’t yet written the book, having the contract gives you something to be proud of (and it looks much better on job and funding applications to have a book ‘under contract’, then just to be working on it as anyone can say that). At the same time, I know of a few publishers who will express interest based on a proposal but won’t offer a contract until they’ve read a substantial part (i.e. 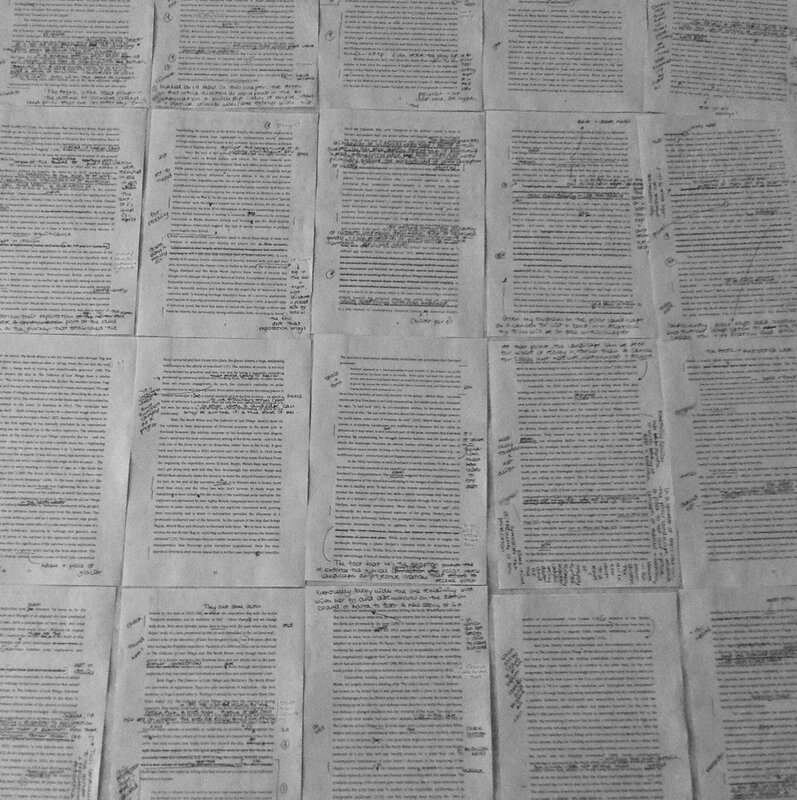 a few chapters), or all of the manuscript. In that case it’s really up to you to if you want to proceed: if the publisher is renowned, if your book fits their list well and/or if you feel secure enough to go through with the book without the contract, you should. I spent a few months researching and planning the book and then submitted a proposal with detailed chapter descriptions to a publisher. I was lucky to immediately be offered a contract. In my final post of this series I’ll write a bit more about this process and communicating with the publisher in general. By the time I was offered the contract the timeframe that I had sketched in my proposal didn’t fit anymore. Hearing back from the publisher had taken longer than I had anticipated and I had decided not to start on the book until they had accepted it. Before I could start on the project I also had to write two articles I had committed to. With this in mind I asked for the delivery date of the manuscript to be pushed back a few months, which wasn’t a problem. The process of writing a book has a practical dimension and a more content-focused dimension. You’ll have to figure out when you’re actually going to write it and, even though you’ve already written a proposal, you’ll have to figure out what kind of book you’ll write. Although I thought I had a pretty good idea about this going into the project, it did take quite a lot of work clarifying what I wanted to write, and what my emphasis would be on. I’ll discuss that process more in the next post. First, though, the practical side. Once I actually started on the book I had about ten months in which to write it. In the beginning that felt like forever – I had all the time in the world to write this book! It would be fine! By nature I’m a very disciplined and organized person so despite feeling like I had plenty of time I drew up a detailed plan first. My book consists of four chapters (13,000 words long each), an introduction (10,500 words) and a conclusion (5,000 words). I also needed time for revision at the end, as well as after every chapter, and wanted to schedule enough time so that I could ask other scholars for feedback. My preferred method of making a plan for any kind of project is to use both a paper calendar – I currently use this one by Moleskine for my research projects – and an app, OmniFocus. I need to see on paper how much time I have available, so I began sketching out my plan using my paper calendar. I started off by planning in big chunks: around average 2½ to 3 months per chapter. When I began work on a chapter I drew up a more detailed plan, which I added to both my paper calendar and OmniFocus. The benefit of my paper calendar for me is that I get a month at a glance – and I find it easier to plan on paper. OmniFocus, on the other hand, syncs with the app on my phone and iPad, so I always have it with me, and allows me to create projects. My book was one of those projects, and I could add to it even tasks that I didn’t need to schedule immediately but that I didn’t want to forget. Using the review-function, I was able to go back to these tasks and assign a date to them when they became important. While planning, try to be realistic. The first chapter I wrote was the sample chapter I had submitted with the proposal, so I was rewriting more than writing from scratch. Consequently, this took me about two months at most. The next chapter’s subject matter was already very familiar to me from my PhD, so I knew beforehand that I wouldn’t be needing that much time for it either. Chapters three and four, on the other hand, were on new material, so I needed about three months for each. Using my calendar helped me to keep other commitments in mind. I knew that by the time I had to write my introduction and conclusion I wouldn’t be teaching so I planned one month in which I wrote both. In practice, though, I wrote the book on one day a week. While I wrote the book I used the proposal as the basis, but as I went along I ended up making changes and had to figure out in more detail what kind of book I was actually writing. I’ll discuss this process in my next post, as well my revision process. Dave Hare is currently a part-time lecturer at City University of Hong Kong. His research work concerns film studies, specifically contemporary cinema stereoscopy. This is his second blog post in the AcWriMo 2016 series. So, following last week’s post, you’ve decided to use AcWriMo to finalise and submit your work to a journal. The next thing to do, according to almost every academic blog ever, is to create a ‘publishing strategy’ or ‘publishing agenda’. You can read about strategies and agendas here, here, here, here, here and here, and also here (and basically everywhere else*). 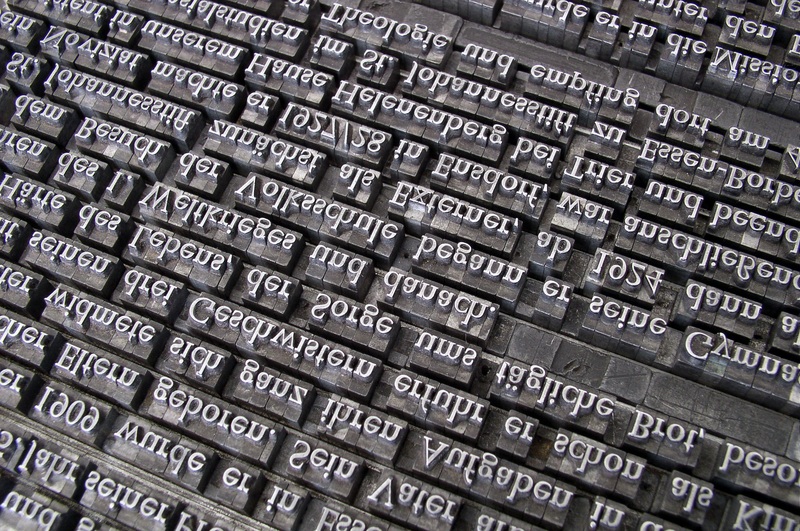 Publishing strategies don’t always come about in the prescribed way. For me, it was made clear in a job rejection email that I wasn’t being considered for a position because I didn’t have enough Arts & Humanities Citation Index (A&HCI) and Social Sciences Citation Index (SSCI) publications. I knew that I needed more work published, but I applied for the job anyway and (Surprise) got rejected. The upside of that downside was that I got specific feedback on how to shape my publishing strategy: to look to journal ranking lists, which university departments obviously use to gauge job candidates (as well as a bunch of other stuff, as in exchange knowledge, apply for funding grants, evaluate staff performance, build careers etc.). There are issues, however, with this type of publication strategy. Tseen Khoo, one half of The Research Whisperer blog team, discussed a few of these issues in a post back in 2014. She concluded the post with the thought that ‘you may still end up “publishing to appease” every so often, but don’t let it be your life’; which is to say there are particular times to focus your attention on journals that others favour. For me, given the response to my job application, the time is now. Step one: Create a spreadsheet to list the journal titles you are going to target for your publications. The spreadsheet should include all the relevant information about the journals you plan to target, such as the name, links to the Aims and Scope, recommended article word counts and a ‘Notes/Comments’ column for any extra details about the vibe of the journal. Step two: Skim the title lists to identify titles relevant to your field. My field is contemporary cinematic stereoscopy, so keeping my outlook broad I selected any titles that seemed to be about film or media studies, as my work spans both aesthetic and industrial aspects of contemporary cinematic stereoscopy. Step three: As you find a title that seems relevant, visit the journal website and find their ‘Aims and Scope’ information. This should tell you if your work will fit in the existing scope of the journal. Add any titles that seem promising to your spreadsheet. At this stage be prepared to be both disappointed and surprised: you may find that the well-regarded journal you were hoping to publish in is actually not ideal, while the scope of journals you are less familiar with might end up being the perfect fit. Step four (optional): Email the editor/s of the journal/s and ask if your work sounds appropriate for their publication (more on query letters in the coming weeks). Suffice to say this email should be short and to the point, with a brief description of your work. A typical response to this email will (1) note that your work is interesting and (2) that you should submit it for consideration, providing that (3) you have followed the journal’s style guide. It may not provide too much information, but it might just help you decide which journal you’ll submit to first. After following these steps, my list included about 25 relevant journals, five of which stood out as being clear targets. In addition to these, I also included journals that might be useful for future research. Now, I am ready to get on with the task of editing, re-writing, and proofreading. A quick note for those AcWriMo-journal-writing peeps that already have a publishing strategy: Your target journals may have posted a recent call for papers, redefined their aims or have a new editorial board. 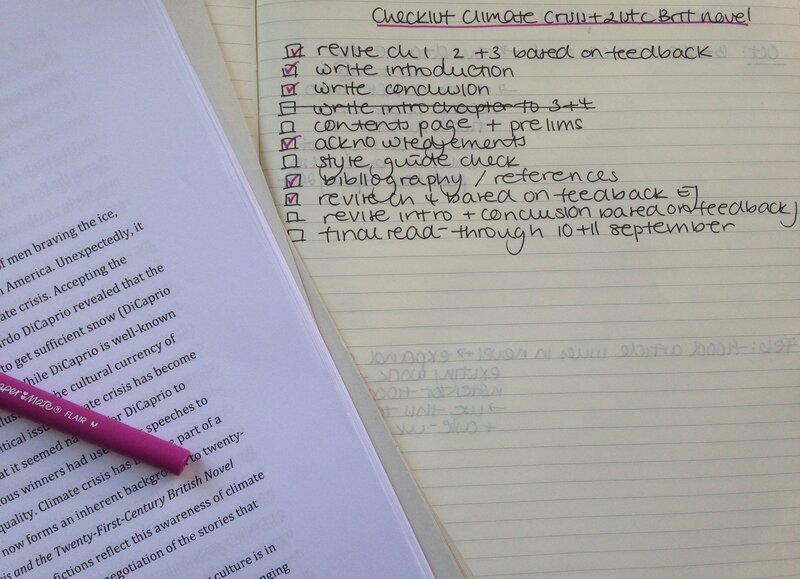 A quick check to see if journals have changed is a good idea before settling down to write. 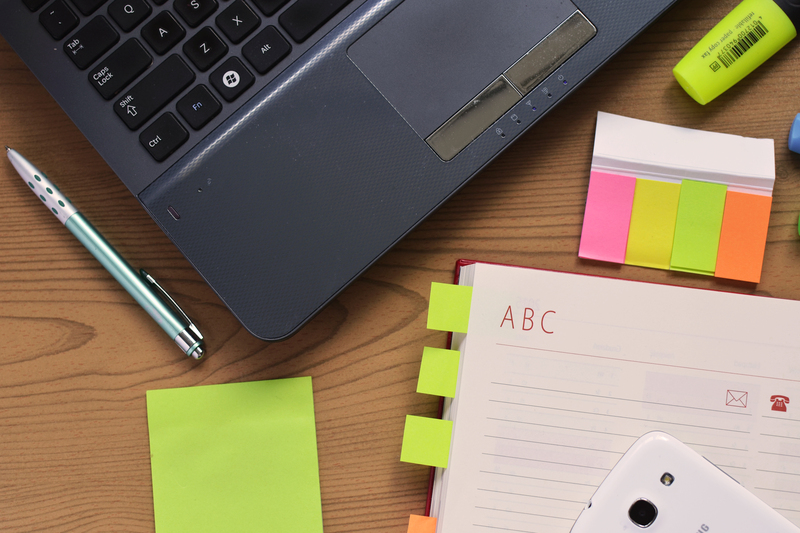 Forming a publishing strategy (or agenda), conducting research into a journal index, and creating lists, all count toward your AcWriMo success as well as the goal of journal article publication. If you’re doing these tasks, please share your experiences on Twitter and Facebook using the AcWriMo hashtag. *because the interwebs is loaded with academic blogs talking about strategies … including this one. Astrid Bracke writes on twenty-first-century British fiction and nonfiction, ecocriticism, narratology, climate crisis and flood narratives. Her monograph, Climate Crisis and the Twenty-First-Century British Novel, is under contract with Bloomsbury Academic. This is the first of four blog posts she will write for AcWriMo 2016. So you want to write a book. Perhaps there’s an idea that you want to explore and didn’t get round to in your dissertation, or you’re ready to go into a wholly different direction. Or you feel you have to write a book to get the right job, or have a better chance at funding money. A few years ago I wrote on writing a book proposal. This series is about writing the book, from start to finish. 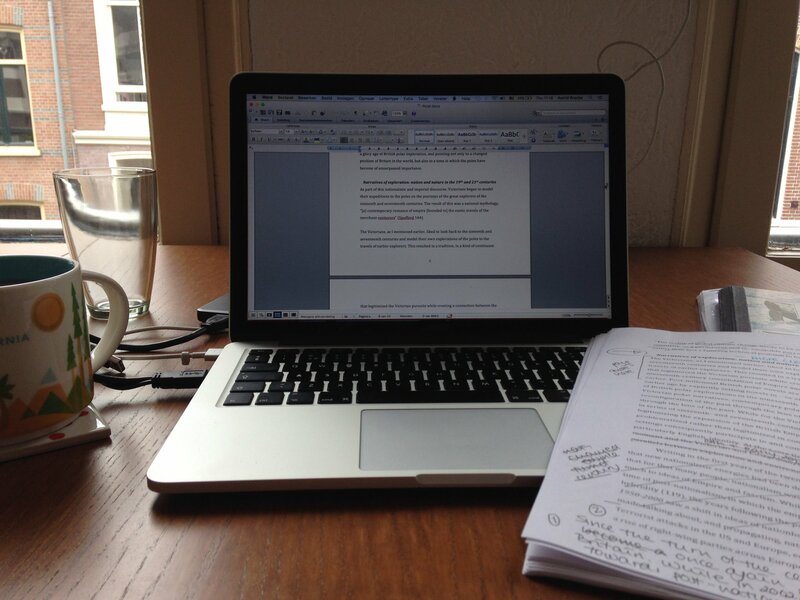 In this first post, I discuss how writing a book is different from writing a dissertation. Most importantly, writing a book is a much more solitary endeavour. While getting your PhD you wrote under supervision. The meetings with my supervisor were a way for me to check whether I was on the right path and to discuss my ideas. Not working in such a framework can be a real relief to many. Perhaps you fundamentally disagreed with your supervisor, or felt tied to departmental themes. Writing a book frees you from all that: it’s your book and your choices. This can be paralyzing at times, and even lonely. It also means that getting feedback on your work requires more initiative. And where first you might have gotten the feeling that at least you were accountable to someone (your supervisor), now you’re not really accountable to anyone but yourself. If your book is under contract with a publisher you’ve got a deadline, but that’s not quite the same thing. They might check in with you, but a supervisory relationship, for good or for bad, doesn’t exist. There’s a few ways in which you can create a supportive environment for yourself while writing a book. The first is to use your network to get feedback – or to expand your network. I drew up a list of scholars who were working on themes related to my book and asked them for feedback on individual chapters. I already knew these people: I’d talked to them about my project at conferences, had provided feedback on their work or published in special issues they edited. Yet even if you don’t already personally know them, scholars are generally happy to help. There might be someone whose work you use a lot, or who gave an interesting paper at a conference that ties in with your research. Indeed conferences are great places to ask people whether they’d be willing to read your work. Whether you know them or not, it’s important to be clear on your expectations: with the exception of one scholar whom I know well, I never requested feedback on more than one chapter, asked people to reply by a certain date and offered to repay the favour (and of course thanked them again in my acknowledgements). Conferences are also a great way to create the accountability that is lacking when you’re no longer a PhD student. Use conference papers not only to try out your ideas, but also to make sure that you finish certain chapters by a certain date. The added benefit is that you’re likely to get useful feedback. Another way of creating accountability and alleviating the possible loneliness of writing a book is by looking for writing buddies. 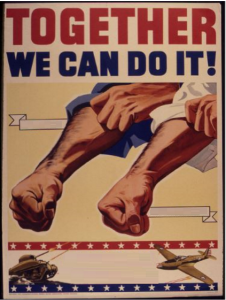 For a while a friend and I would agree to send each other (parts of) chapters and articles. We’d set a clear deadline and meet for coffee that day. We wouldn’t necessarily read each other’s work, but making the promise to be done with something by a certain date did stimulate us. And discussing our work over coffee was often inspiring. You may even get together with a group of colleagues, or join a MeetUp group of academics. Sharing your deadlines with others and having the chance to talk about the writing process provides some of the structures that being a PhD student, often surrounded by other PhD students, offered. I was really surprised about the time it took me to write the book, compared to writing the dissertation. Writing the book took me about a year, working on average one day a week, versus around three years nearly full time for the dissertation. The reason why it took so much less time is, I think, because writing a dissertation is much more about the process and about learning the ropes. This is also the final difference between a dissertation and a book. A dissertation is what in the traditional guild-system would be the product of an apprenticeship. In the dissertation you demonstrate that you are knowledgeable about the area you’re working in and that you’ve read (almost) everything. In a book, many of these concerns do not apply. If in writing the dissertation you have to prove that you’re worthy of being part of a scholarly community, in writing the book you show that you are. In my next posts I’ll write more about the process of writing a book from start to finish, from planning the work to communicating with the publisher. Dave Hare is currently a part-time lecturer at City University of Hong Kong. His research work concerns film studies, specifically contemporary cinema stereoscopy. This is the first of a series of blog posts for AcWriMo 2016 by Dave Hare. By now, you’ll be aware that AcWriMo is an event that encourages different forms of productive changes. The reference to ‘write-a-thon’ on the AcWriMo about page dek will lead many participants to focus on quantity, or ways that they can produce more written words. Larry Burton’s account of a corresponding write-a-thon event (NaNoWriMo) primarily talks about this form of change. He writes, ‘the important thing at the end of November was that … I had pages and pages of words just waiting on me to massage them and reshape them’. In his case, the completed draft paper was an achievement that reinforced the benefits of his new quantity-based process and routine. This change will work for some, but if you’re like me, you don’t actually need to produce more words; in fact more (mo) words are probably going to lead to more (mo) problems. In my case, I’ve got an entire PhD thesis to shape into publishable articles and I’ve got an article that has previously been declined that needs editing attention. Quantity isn’t a motivating force for the changes that AcWriMo can help me with: quality is (a fact that happily aligns my role as PhD2Published Journal Articles section editor with my current situation as an under-published academic looking for work). 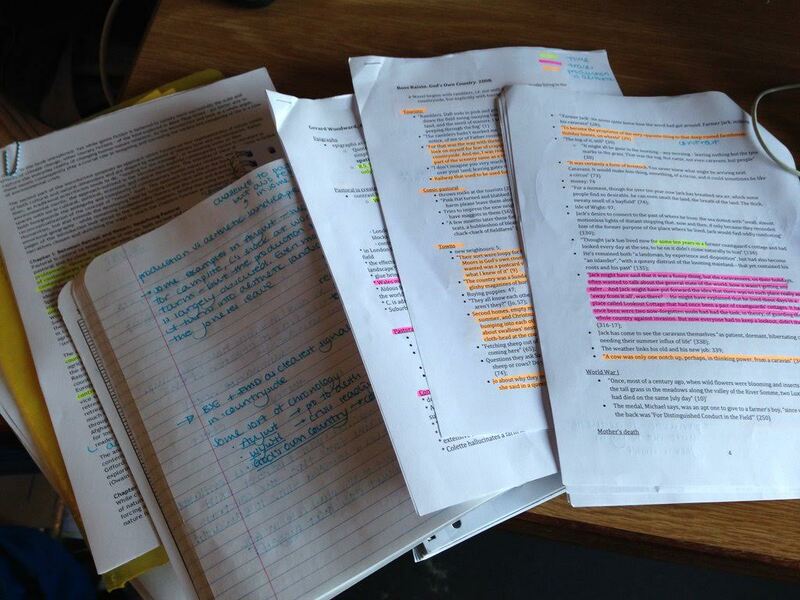 My point is to approach AcWriMo bearing in mind the changes in your academic work that you’d like to make. 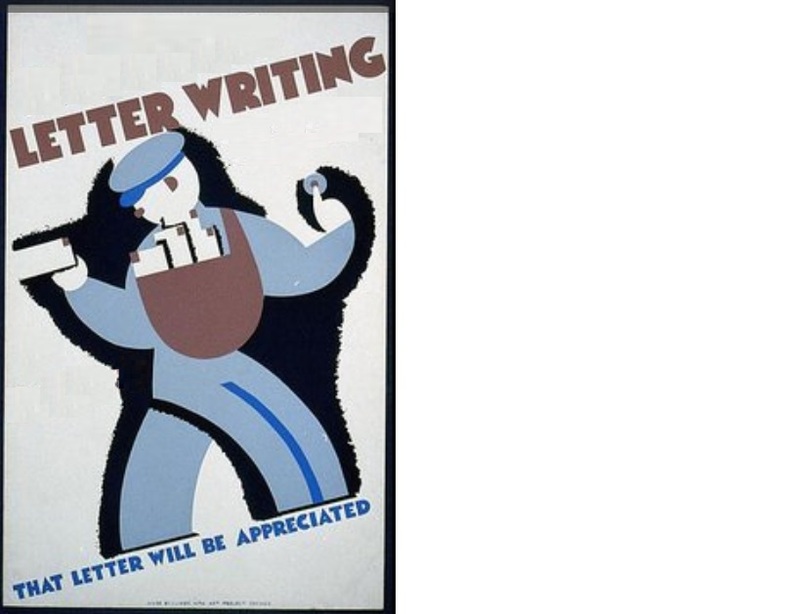 So, if you’re like me, November work will mainly concern massaging and reshaping words for specific publications; what Raymond Chandler calls cleaning up (‘Throw up on your typewriter every morning. Clean it up every noon’). 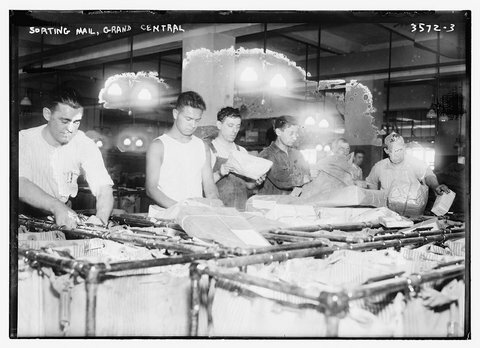 The blog and Journal section already have a number of excellent posts relating to cleaning up. For example, the final four posts of Ellie Mackin’s series on Wendy Belcher’s Writing Your Journal Article in Twelve Weeks might provide the exact information you need. They cover feedback (Week 9), writing clarity and argument revision (Week 10 and 11), and polishing (Week 12), which are all necessary parts of the cleaning up process. The posts (and Belcher’s chapters) all sit satisfyingly (like) into the AcWriMo event’s one month schedule (first week, ‘Giving, Getting and Using Others’ Feedback’; second week, ‘Editing Your Sentences’; third week, ‘Wrapping Up Your Article’; and, fourth week, ‘Sending Your Article!’). Alternatively, you might prefer throwing up and cleaning up (as Chandler did). 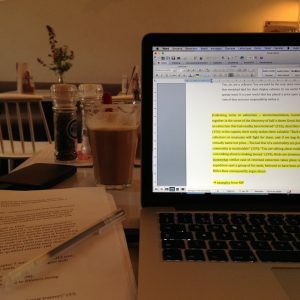 In that case, Allan Johnson’s PhD2Published post, ‘Writing the Second Book – Week 1’ describes a mixed approach: a daily blend of drafting and rewriting work. The benefit of this mix is illustrated by the fact that Johnson overcame writing work that he says had been dragging on. His major change, which occurred at around AcWriMo 2015, was mostly to do with the energy he spent on this work, specifically Johnson says he learnt to better manage his energy output rather than management of time and this resulted in greater work output and better work practice (note: the work Johnson cites is his soon to be published second book, The Fisher King’s Wound: Sequence, Consequence and a Sense of the Beginning, 1919-1945). Finally, I want to suggest collaborating with a work friend or colleague during AcWriMo. This collaborative work would be taken up in addition to AcWriMo’s support network of writers, and would aim to change the way you work via processes of negotiation and compromise. In this case, Charlotte Frost and Jesse Strommel’s post, ‘Collaborative and Public Writing Techniques for Google Docs’, discusses processes of collaboration that involve the document (spreadsheets, word docs, presentations) sharing program, Google Docs. Collaboration, they say, provides a range of benefits to workers (including accountability, camaraderie, instant proof-reading and peer-review, less work, progression, and socialising). So, if you haven’t collaborated on a project before, maybe November is a good time to test it out. The point is to consider how AcWriMo can benefit your work process and situation, whether that means writing more (as in Burton’s case); editing and re-writing more (as in my case); a combination of drafting and re-writing (as in Johnshon’s case); or collaboration. 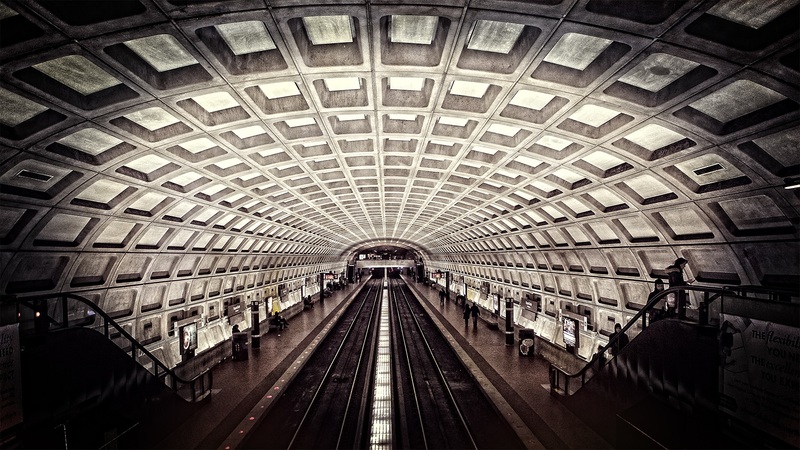 AcWriMo provides a forum to test out new and/or different ideas and processes. November is nearly here and the write-a-thon awaits, so get to thinking! 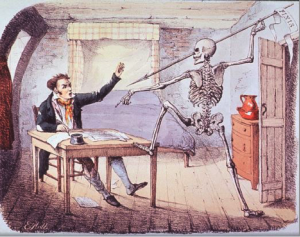 (the alternative is a ye old timey skeleton holding a whaling spear will appear in your room and threaten to skewer you). 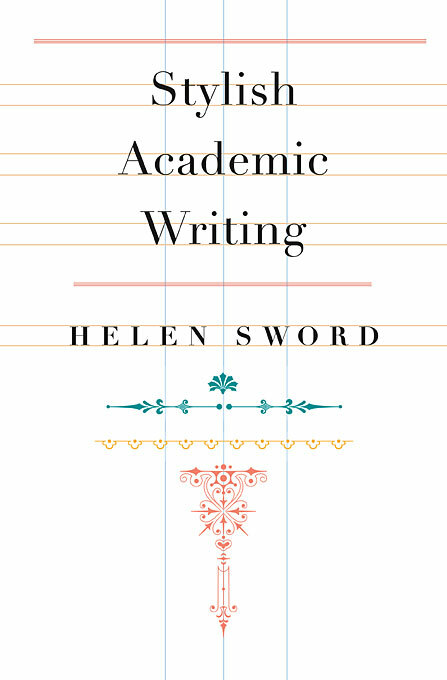 As we approach the end of October, it’s time to get ready for Academic Writing Month (AcWriMo), the month-long academic write-a-thon that happens every November. If you are new to AcWriMo, or if you wish to refresh your memory on the AcWriMo rules, read this page. 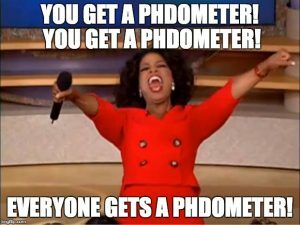 Don’t forget to download the all new PhDometer 3.0 app to participate in AcWriMo 2106, track your progress, and share with the global #AcWriMo community! See you on the leaderboard soon!